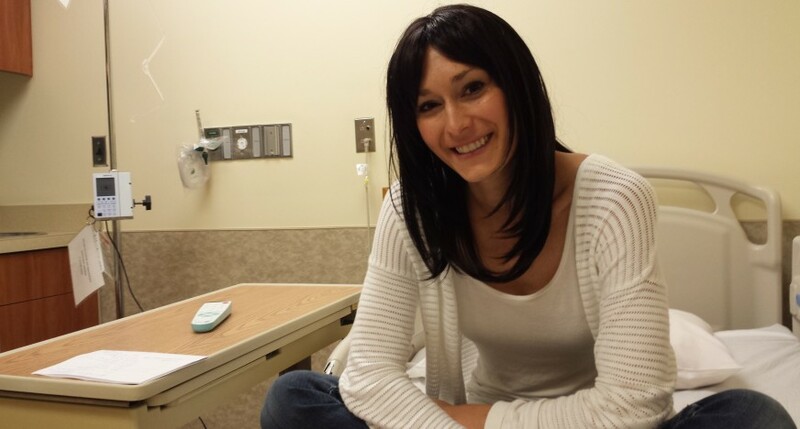 This week I wanted to get my focus off of the anticipation of nausea as I received chemotherapy. I asked my friends and family for their prayer requests so I could focus on God and others. I may be a wounded warrior, but I am dedicated to taking back for God more than has been taken from me. Another thing that I am really grateful for is the insurance plan we have through Wes’ job at ScientiaMobile. Without it, this could be a financial nightmare. I feel like every aspect of going through this crazy time has been taken care of and I am so incredibly thankful. The aftermath of chemo was the usual unpleasantness. On Wednesday, I went to my cousin JoDe’s to lay on her couch while she watched Fierce. Thanks Jo! My cousin Jessica took Fierce today while I went to an Ultrasound to find out how my tumor has been responding to the chemotherapy. Thank you! My tumor started out at 22mm and is now down to 6mm!!!!!!!!!!!!!!!!!!!! The nurse was so excited to tell me that their has been SIGNIFICANT change! I expected good news since I can barely feel it myself anymore, but I still got teary-eyed when I was by myself in the car. 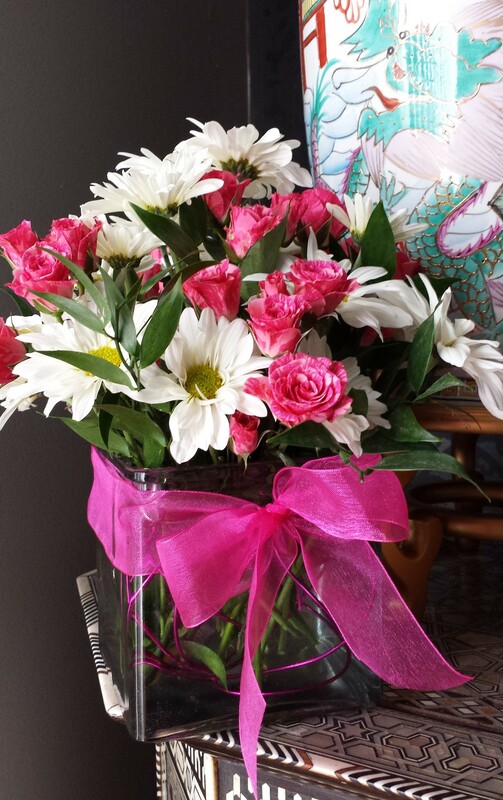 When I got home, my cousin Nate and his wife Erin had sent flowers to me to bring a smile to my face. Well, I am beaming right now! Thank you Lord for your faithfulness. I am so grateful you are walking with me through this cancer fight. Thank you Lord! There’s a big smile on my face too! Cousins are the best friends!